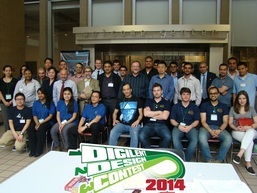 The 10th edition of the international “Digilent Design Contest” US Region took place at New York City College of Technology, NY, US on May 3rd, 2014. 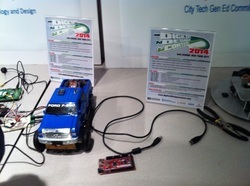 The contest was organized by Digilent, Inc. and sponsored by New York City College of Technology, NY and ARM, Inc.
10 teams qualified in the final stage of presentation & judging. 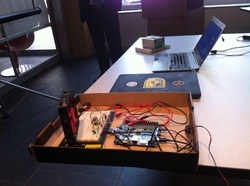 Teams presented their design ideas and showcased FPGA, microcontroller, and robotics-based projects. They integrated the Digilent products with other state of the art technology and built their own systems. The panel of judges, which consisted of industry and academic representatives, evaluated the projects on conceptual innovation and technical implementation. In the award ceremony, held on May 3rd, winners were awarded certificates and prizes by representatives of the organizers. 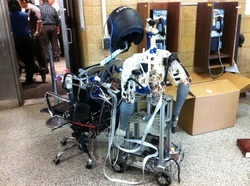 T.O.B.I.A.S- Tele Operated Bi Manual Augmented System – A humanoid robot that can be intuitively operated remotely via Bluetooth Interface. Additionally the system will incorporate a simple and effective remote viewing system. Elderly Independence – A device monitors a person’s vitals, while allowing them to maintain their independence. To establish an autonomous wave of information via network communicated setup to decrease emergency unit response time in the event of an accident.